For sales and support, the volume of prospects and customers they handle, and their capacity to scale up that volume, is the reason they are so focused on efficiency and output. The highest performing sales and support teams are the ones who are laser focused on processes that enable them to maximize those numbers. Marketing teams, on the other hand, focus on volume and capacity from a different angle – what sort of volume of leads and opportunities can they create and what sort of activities can they perform with the capacity they have? Marketing teams, therefore, need to focus on the highest impact activities. For all three of these teams, Intercom is focused on helping them do more with their time through intelligent automation. 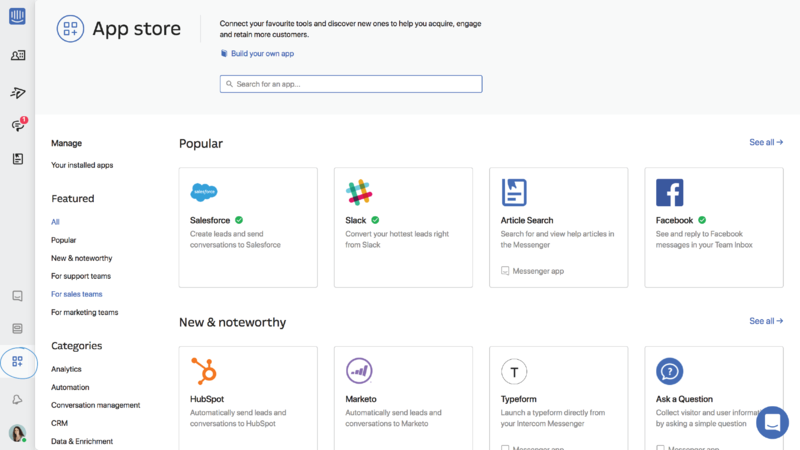 In the past month, we have unveiled our new Custom Bots feature, an ever-increasing library of apps and new integrations to help these teams boost their performance, automate workflows, increase conversions, focus their time and get more done. Here are 8 new features that will help you grow your business. Supercharge your pipeline with Custom Bots ? Your bots work all day every day – starting conversations, asking the right questions and delivering the most qualified leads right to you. Bots connect to your tech stack, automate workflows behind the scenes and act as an extension of your sales team. The only bot with the power of integrated apps that encourage leads to take the best step in their buying decision. Custom Bots qualify leads and connect you to the best ones when they’re live on your site. From 1 to 1,000,000 leads, your bot gives everyone an immediate response and a consistent experience that grows your funnel. Get started with Custom Bots here. Discover 100+ apps to acquire, engage and retain more customers ? 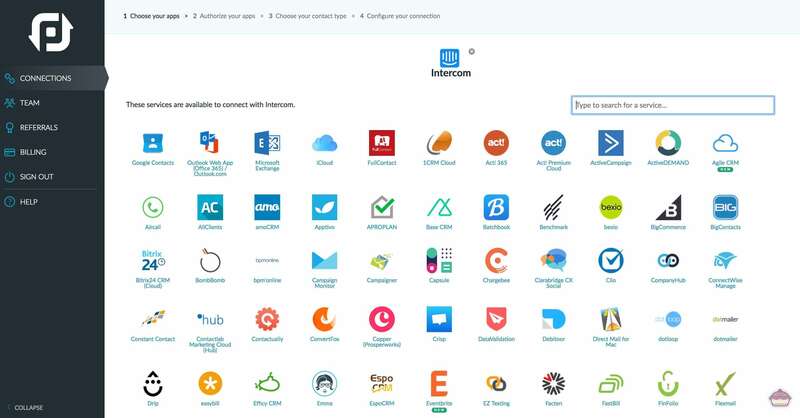 The new Intercom App Store makes it even easier to discover new apps and integrate the tools you love with Intercom. Check out the new collections for sales, support and marketing teams, or browse to find your next favorite app. Our brand new Messenger framework, a reference resource for building apps, now out of beta! Check out what other partners have built in the Intercom App Store here. 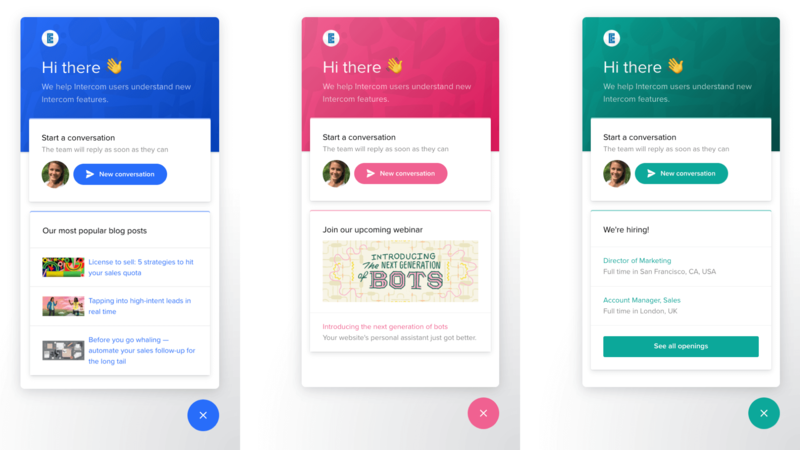 Reach a wider audience by featuring upcoming webinars on your Messenger home screen or sharing them in conversations, messages, or custom bots. Make it easy for visitors and users to see the details of each webinar and register in just two clicks. Install from the App Store, or find out more here. Promote the content that’s most relevant for your visitors or users on your Messenger home screen or in your conversations with brand-new templates for the Content Showcase app. Use the “announcement” template to highlight upcoming events or important news, the “top articles” template to feature popular blog posts or key help center articles, the “job listings” template to boost recruiting efforts, or the “flexible list” template to showcase anything else you want. Quickly capture feedback from customers in the Messenger and send it to Coda’s User Feedback Template, which brings triage, product planning and customer response together all in one place. Build what matters most to your users and close the loop by automatically sending follow-up messages to the users who submitted the requests. With PieSync’s updated 2-way integration, you can now sync your users and leads with 100+ other tools so that you never waste time copy-pasting data, switching between tabs, or worrying about outdated information. Every time you add or update a user or lead in Intercom, PieSync will automatically sync it with the other tools in your tech stack. Download, save and share transcripts of your conversations ️ ? 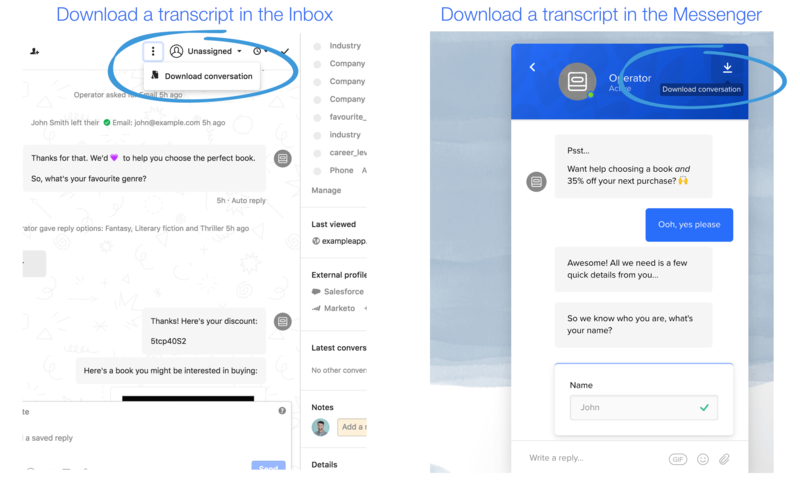 Now teammates in the Inbox and customers using the Messenger can download a text file transcript of their conversation. Teammates can now easily share valuable customer conversations about feature requests or bugs with colleagues who don’t use Intercom. Customers now have a more flexible way to save information like tracking codes or reference numbers for use later on. 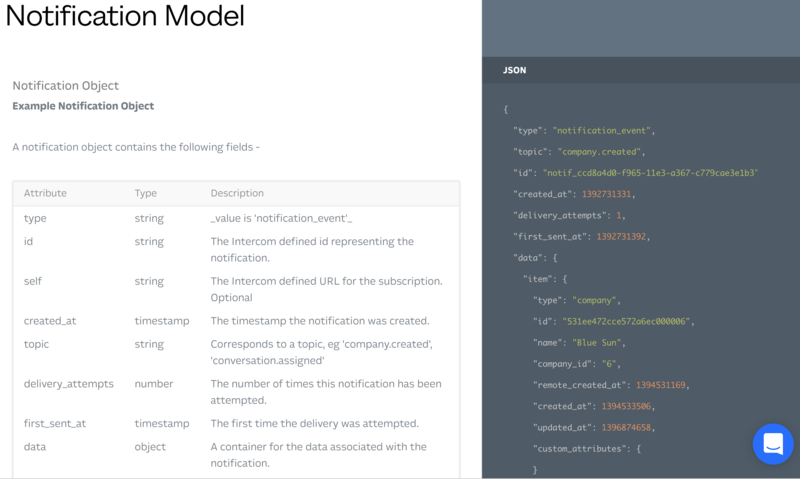 Improve your automation at scale with updated webhooks and APIs ? You now have more flexibility than ever before to trigger actions, filter conversations, and assign teammates using Intercom’s webhooks and APIs. This means your team can automate more workflows and efficiently handle sales and support conversations at scale. Explore our developer docs to learn more, or get started building an app.